The 9/11 Tribute Museum in New York is a museum commemorating victims of the terrorist attacks that took place on 11th of September, 2001. It focuses on the personal stories of people who were affected, either directly or indirectly by the attacks. For example; the victims, their friends and families, first responders and people who lived and/or worked in the area. 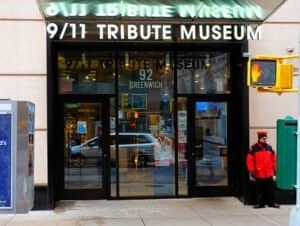 This museum should not be confused with the 9/11 Museum in New York: the official 9/11 Museum. 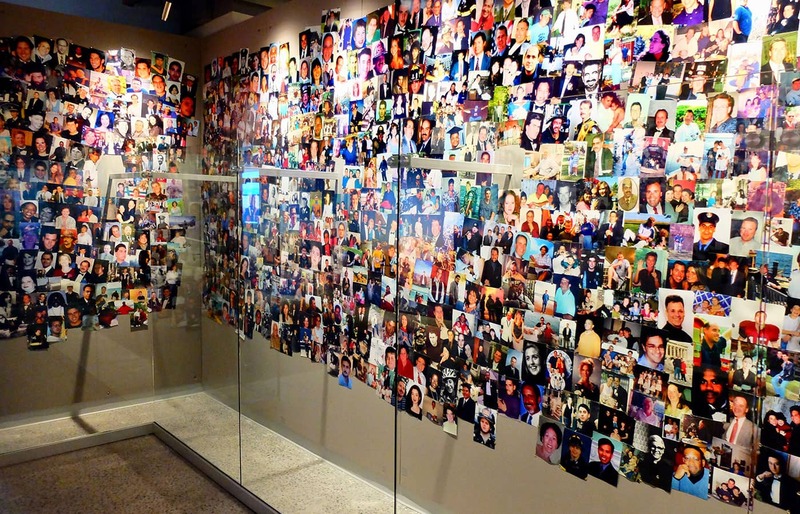 The 9/11 Tribute Museum was previously known as the 9/11 Tribute Center. In 2017 it was moved to a new, larger location. Consequently, it has become bigger and more professional and therefore, it was decided that the name should change to the 9/11 Tribute Museum. 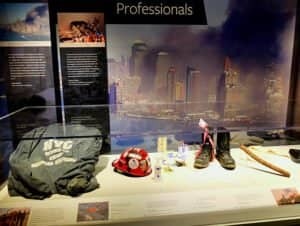 The museum is the creation of the September 11th Families Association: a union consisting of family members of firefighters from the Fire Department of New York, who fell victim to the attacks. If you go to New York and want to visit the 9/11 Museum, you may be torn between which of the two to choose. I have seen both and can say that they each offer a different perspective. 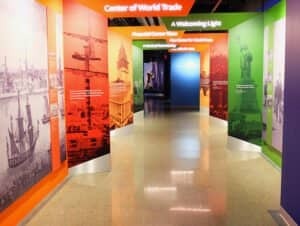 The biggest difference is that the 9/11 Tribute Museum focuses on the personal stories of the individual victims. Whereas, at the official 9/11 Museum the focus lies on the attacks themselves with exhibits of artefacts left over from the explosions. The 9/11 Tribute Museum is a little more personal and is more specifically centred around New York. On the other hand, the 9/11 Museum tells a broader story about the happenings on and around the day. The 9/11 Museum is located next to the 9/11 Memorial: the two square pools where the Twin Towers once stood. The 9/11 Tribute Museum is situated in the area, but a little further away from the WTC-terrain. To get to the Tribute Museum from One World Trade Center, walk south along Greenwich Street for around ten minutes. Eric’s Tip: The 9/11 Museum is, alongside the 9/11 Memorial a ‘must see’. However, if you have already been, or are looking for a quieter place to visit, I definitely recommend that you pay a visit to the Tribute Museum. Due to this museum being less popular, it is also quieter and calmer. The tickets are also cheaper than the 9/11 Museum. After purchasing, you will receive a voucher by email. You can print it and use it as a ticket, or you can show it as a mobile ticket on your telephone.